DIAMOND FIRE by Ilona Andrews is a continuation of the writing duo’s extremely popular and well-crafted urban fantasy (paranormal romance) series, HIDDEN LEGACY. DIAMOND FIRE is the crossover book taking the reader from Nevada’s character’s journey (in the first three HIDDEN LEGACY books) to Catalina’s. 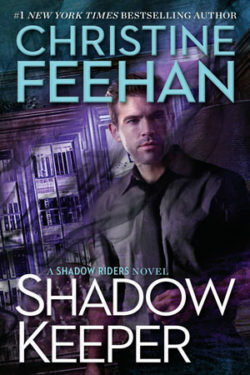 The story takes place leading up to Nevada’s marriage to the powerful Connor “Mad” Rogan at his mother’s estate. Catalina is a maid of honor roped into helping her sister plan the wedding. When the Rogan family priceless heirloom tiara disappears—an item meant for Nevada to wear during her nuptials—Catalina steps in to solve the case. 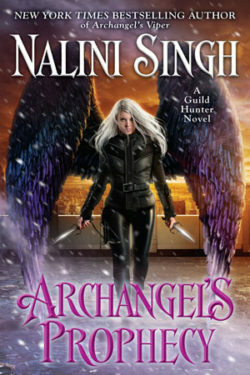 In the process, she has to use her powerful, scary prime magic to figure out who stole it in time for the wedding. 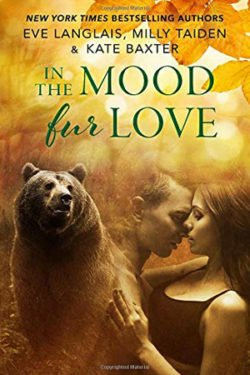 Watching Catalina start to come into her own is a thrill and so much fun, and the addition of other Baylor characters (namely the hilarious Arabella) back in the mix makes this story a MUST for HIDDEN LEGACY fans. 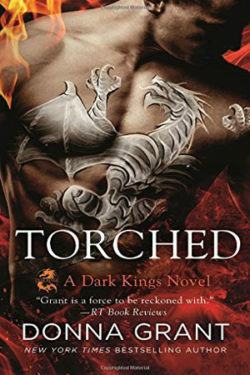 Newer readers will want to start with BURN FOR ME, the first in the series. The developing character of Catalina is so well done. And her perspective of her sister and Connor, in relation to Nevada’s point of view from books past, added so much depth to this magical family. As always, Andrews delivers vast entertainment. This novella packed a punch for being such a short read. And it only whets the appetite for the next in the HIDDEN SERIES series. 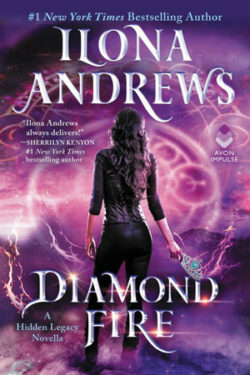 Another stellar read from Ilona Andrews, DIAMOND FIRE is not to be missed! Mystery, romance, well-rounded characters, and humor are the hallmark of an Ilona Andrews story.